Local residents are being invited to have their say on plans to improve a major roundabout in Chesterfield. 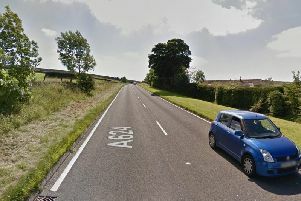 During August local people will be able to find out more at exhibitions which will show the proposals to improve journey times and reduce accidents on the A61 Whittington Moor roundabout. In the mean time, if you want to see how you SHOULD be driving round the Whitt Moor roundabout, click here to see an expert’s view on which lane you should be in for each exit. The proposals are to install traffic lights on all six junctions of the roundabout and close off the entrance to the roundabout from Dunston Road to all traffic apart from buses. Traffic will still be able to leave the roundabout onto Dunston Road. Traffic lights will also be put at both ends of Sheepbridge Lane. Councillor Simon Spencer, Derbyshire County Council’s Cabinet Member for Highways, Transport and Infrastructure, said: “There are long delays at peak times at the Whittington Moor roundabout and with more developments planned for the local area journey times are only going to get longer. The work is expected to cost around £5m and is being funded from the Derby, Derbyshire, Nottingham and Nottinghamshire Local Enterprise Partnership (D2N2 LEP). This is a partnership organisation of local councils, businesses and other organisations, which takes the lead on major infrastructure projects.